I've heard of banana bread. I've heard of zucchini bread and pumpkin bread. I've even heard of lemon bread. But Strawberry bread? Well, it isn't as common. 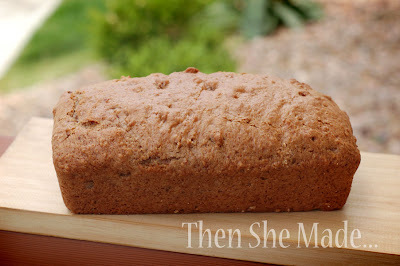 However, it's super good and should have a place amoungst those other popular loafs. I made a double batch this weekend and it's soooo good. Here's the recipe should you want to make your own. Mix all the above dry ingredients together in large bowl and make a well in the center. Set aside. Next, pour the strawberry mixture into the "well" you made in your flour mixture. Fold the ingredients together with a spoon until just combined. Pour batter into lightly greased bread pan and bake in preheated 350 degree oven for 40-50 minutes or until knife comes out clean. Cool on rack for about 15 minutes before removing from pan. 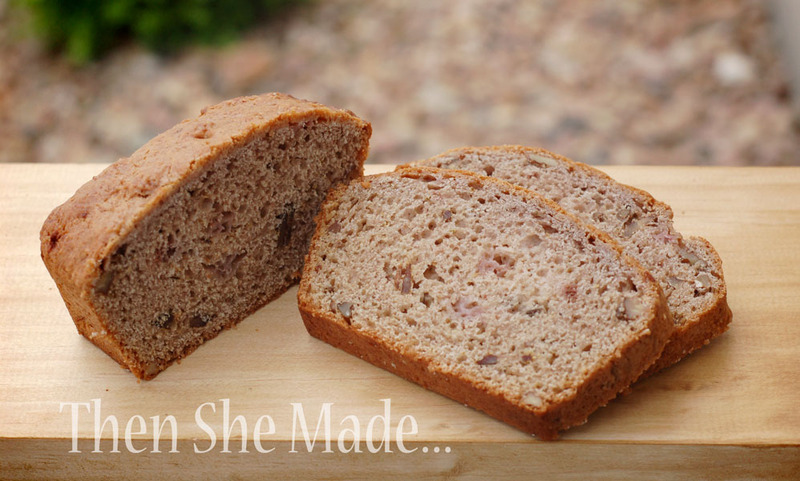 This recipe makes 1 yummy loaf! ** - I placed my strawberries in the blender and pureed them. Smashing by hand works good too but I don't like chunks of cooked strawberries in my bread so I prefer to use the blender so the pieces are very fine. For the nuts, I only had chopped on hand. I didn't feel like crushing them so I just used them as they were and they worked great. Also, keep in mind, nuts are optional. The bread is good without them but I do like the added texture that they give to the bread. I wanna make this tonight. What temp should I bake it at?? I want to make them in mini loaf pans. I have been making this for YEARS and was my son's favorite. I also experimented and used whole wheat flour with blueberries, but they are all yummy! Sounds delicious! Ever thought about including nutritional information for all these great recipes?